I had such a great time juggling with the San Jose Earthquakes last week, and they made this amazing video about my visit and my mission. I’m so excited to share it and hope it leads to more donations for St. Jude! Also, don’t forget to take the Juggling for Jude Challenge! Just juggle, post your video, hashtag #jugglingforjude, and then head over to my DONATE page to donate a penny or a dollar or ten dollars per juggle! Join the movement and save a child with cancer! PS day 31 I got 268 and day 32 I was super tired after a big family event and got 133. Remember, every juggle counts! 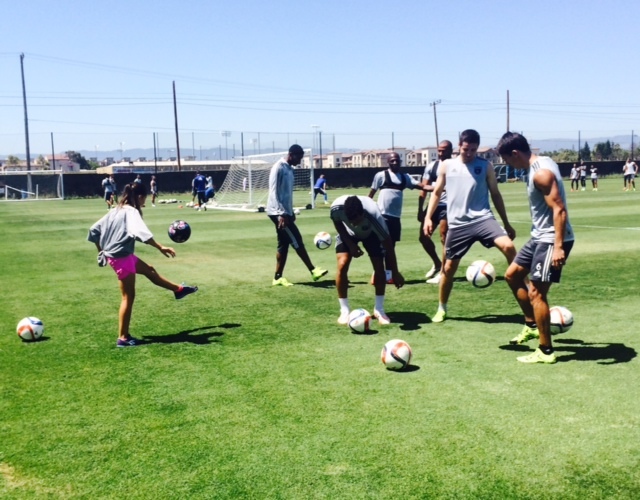 Days 34 and 35 were juggling with my soccer team. I’ll keep posting videos as the summer goes along! Previous postWHAT A WEEK!!!! 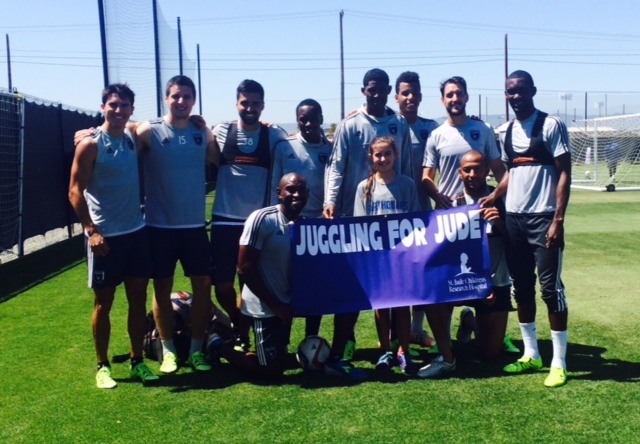 THOUSANDS OF JUGGLES PLUS PROFESSIONAL SOCCER PLAYERS GALORE ARE ON BOARD WITH JUGGLING FOR JUDE! Next postDays 37, 38, and 39: 182, 300, and 493 Juggles. Plus: WE HAVE NOW RAISED MORE THAN $50,000 for ST. JUDE CHILDREN’S RESEARCH HOSPITAL!